2018, the year in which Leeuwarden/Fryslân is the European capital of culture, has only just started and the cultural world is already presented with a unique discovery. The Frisian Film Archive recently discovered film sequences of Stan Laurel which were thought to have been lost. 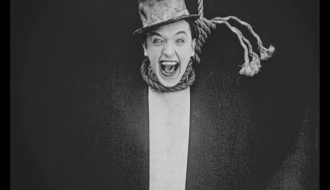 In the Dutch copy of the Stan Laurel film Detained, which the Frisian Film Archive has in its possession, a scene with special effects has been discovered which is missing in other surviving copies. This scene came to light during the stocktaking of old nitrate films for a large digitisation project which the film archive is involved in. 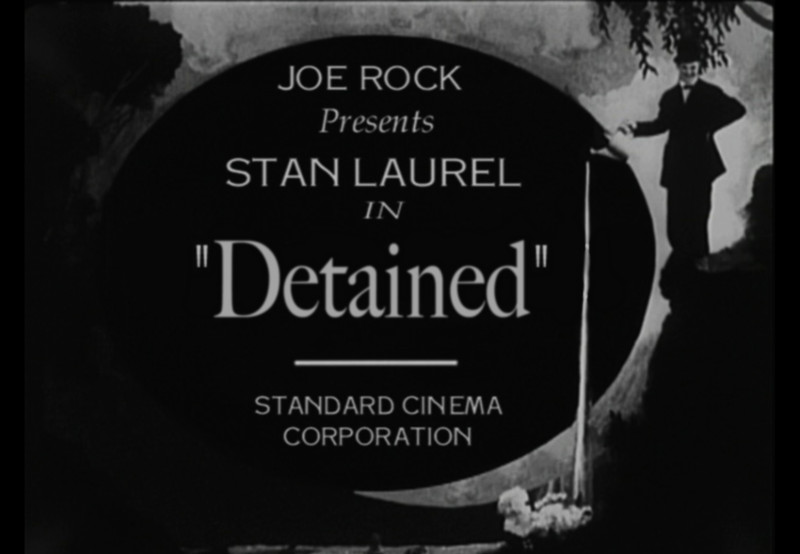 Detained is a solo film by Stan Laurel dating from 1924. Jurjen Enzing, an employee at the Frisian Film Archive, recognised the famous actor Stan Laurel while stocktaking nitrate film material. Enzing decided to investigate which film it was. After searching the Internet he discovered that it was a solofilm by Stan Laurel. In the book written by Laurel and Hardy experts, Ted Okuda and James L. Neibaur, entitled ‘Stan Without Ollie: The Stan Laurel Solo Films, 1917 – 1927‘, Enzing then read that it had to be the film Detained which dates from 1924. The missing scene was described in that same book. Neibaur and Okuda stated that it had apparently been lost. However, Enzing realised that he had discovered the missing scene in the copy at the Frisian Film Archive. It was quite a moment! 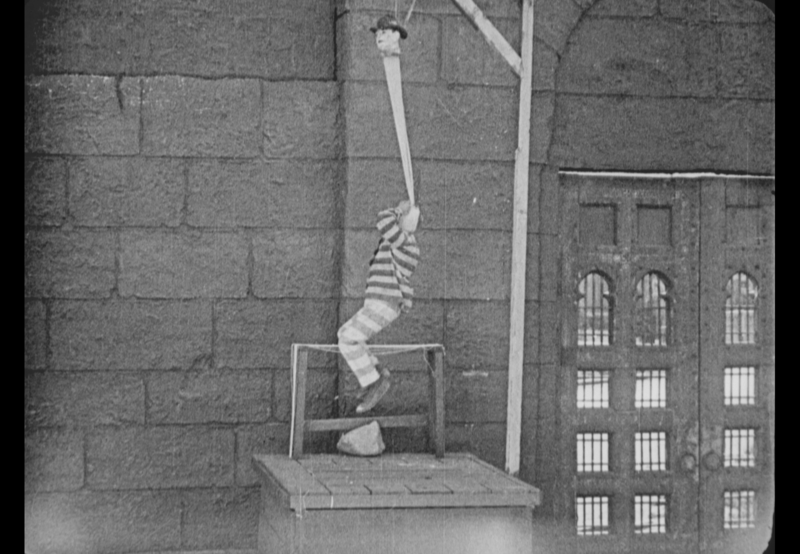 In the scene, which was thought to be lost, Stan Laurel plays a prisoner who ends up on the gallows. His neck gets stretched out of proportion, which leads to a humorous escape. The absurd scene is typical of Stan Laurel. The reason why this scene was missing from all other existing copies is that, in the 1930s, films like this used to be shortened for the home movie market. All ‘superfluous’ scenes and sequences were cut out of the film for the new release. As far as we are now aware the copy discovered by the Frisian Film Archive is the only existing copy in the world to include the gallows scene. The print also contains a number of other missing sequences, for example from a scene in which Laurel and a fellow prisoner dig an escape tunnel. Here you can view a comparison of the old film print and newly discovered print at the Frisian Film Archive. On the right you can see the version with the missing scene and fragments. Following this discovery the Frisian Film Archive came into contact, via the Eye Film Institute, with Lobster Film in Paris. Lobster Film is a commercial film archive which specialises in restoration and digitisation. Among other things Lobster is famous for its collection of Laurel & Hardy films. Several years ago Lobster published a DVD box set with the Stan Laurel solo films. Detained is included in it but without the recently discovered sequences. Lobster Film confirmed the value of the discovery by the Frisian Film Archive. The French even have a film print of Detained in their collection. A digitally restored version can also be found online. Lobster Film was extremely enthusiastic about the missing scenes and had a negative made at Haghe Film of the copy in the Frisian Film Archive, after which it was scanned in Paris. A digital copy of the entire film, including the missing sequences, has been made available to the Frisian Film Archive and arrived in Leeuwarden at January 4 2018. How did the film end up in the Frisian Film Archive? The nitrate copy of Detained ended up in the Frisian Film Archive in 2007 when amateur historian and investigator Dirk Swierstra, who was born and bred in Leeuwarden, brought in a collection of commercially published nitrate films. These films had come from the cellar of the former photography shop ‘Foto Vaka’ (Van Kampen) in Leeuwarden. The Van Kampen family confirmed that Hendrik van Kampen had purchased a batch of films for 100 guilders shortly after the second world war with a view to renting them out and/or showing them. The collection included 35mm nitrate films which then ended up in the Van Kampen storeroom. After ‘Foto Vaka’ closed the doors in the seventies, the films were stored in the cellar of the building. Dirk Swierstra, who was a friend of the Van Kampen family, donated the series of films to the Frisian Film Archive. That one of these films, the Dutch copy of Detained, would be so exciting, no one could have imagined! We gladly share our discovery with you. And of course we preferably do that on a large, white film screen. That is why we have programmed screenings of Detained from Saturday January 13 onwards. The Frisian filmcomposer Arjan Kiel wrote a new soundtrack accompanying the film.